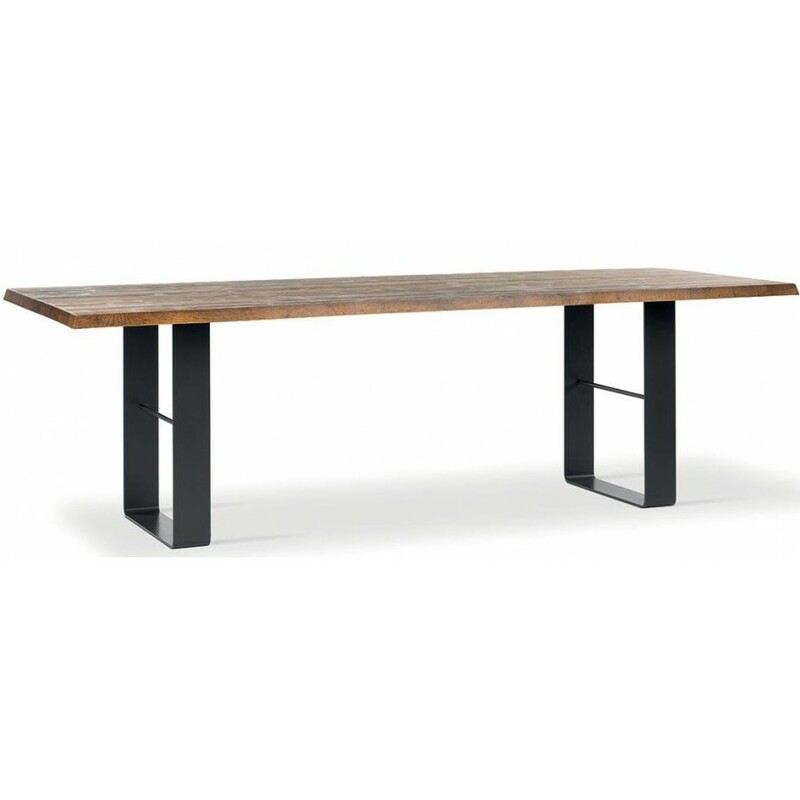 Metal Bond pattern table available in black lacquered, anthracite or aluminum and wood, chosen from antique oak, elm, gray spruce or walnut. The novelty is also in new hand-worn tinplate, available in white, light gray or dark gray finish. These are characterized by careful craftsmanship, in which each floor has its own uniqueness. 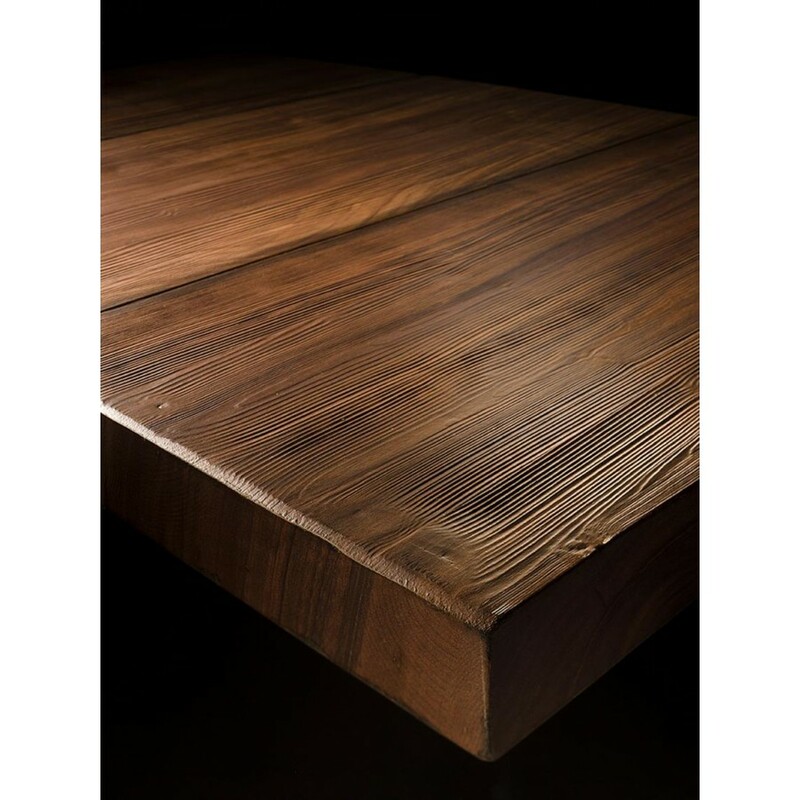 The Bond is a solid wood table that is part of the Exentia Collection: this collection highlights the peculiarities of wood such as veins, knots, sap, splits, stains and flaming. These are imperfections designed to make the final product authentic. The legs have a horizontal rod that breaks the monotony of the shapes emphasizing the product. 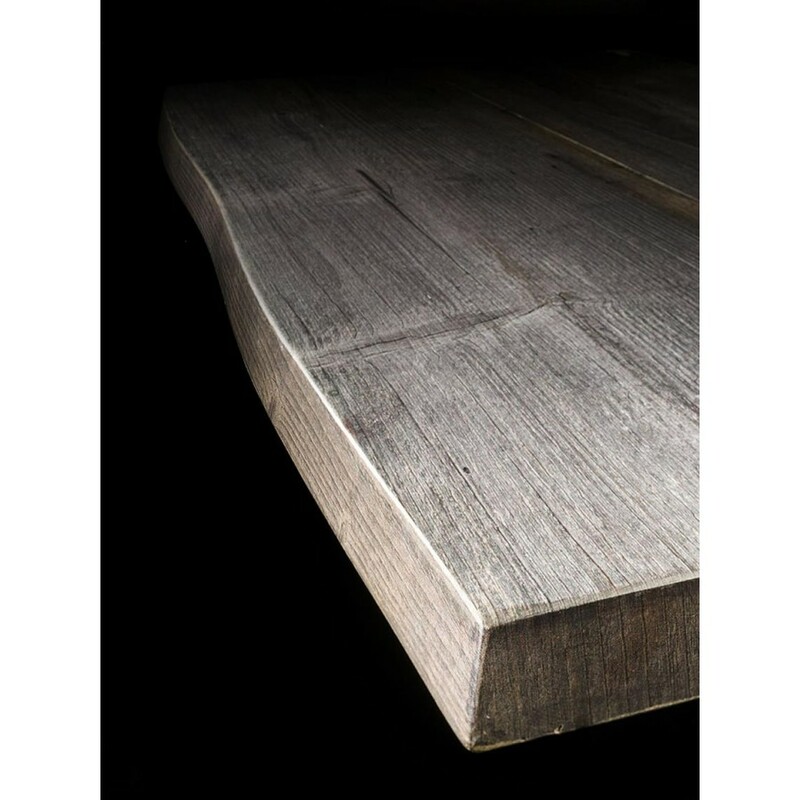 The Bond is an antique table specifically designed with rustic and innovative elements. Ideal both in home furnishings and in dining-related environments.